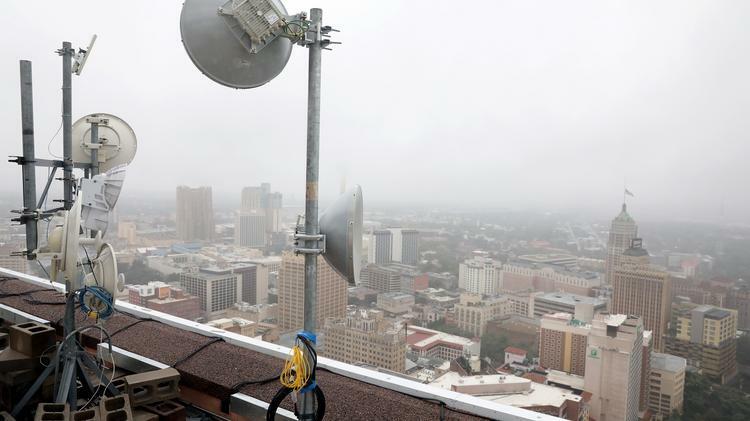 Jump Fiber LLC, a startup broadband service provider that installed new internet equipment on the Weston Centre’s roof in October 2017, wired the Rand Building on Houston Street last week. Both buildings are owned by companies affiliated with Graham Weston. The Rand Building has about three dozen tenants — including Google Fiber Texas LLC, a competitor of Jump Fiber — and is home to Geekdom LC, a collaborative co-working space. Many properties allow multiple internet service companies to serve tenants. Jump Fiber uses a hybrid system that employs fiber optic cable trunks in the ground in tandem with small cell millimeter wave antennas to transmit internet signals between buildings. The company has plans to build its footprint in the central business district to create a ring of sorts around downtown. Jump Fiber, led by a former AT&T Inc. executive in San Antonio, also signed agreements to install fiber optic internet in two buildings managed by Zurich International Properties Inc. — at 118 Broadway Ave., known as the World Trade Center, and next door at 121 Broadway Ave. That opens the door for hundreds more potential customers in business offices. 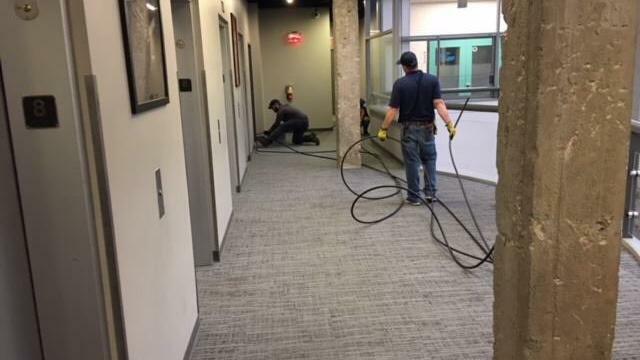 The startup is also installing fiber optic internet in the Bank of America Plaza on Covenant Street downtown, which was recently acquired by USAA Real Estate Co. and will likely become the office for USAA employees. Jump Fiber’s service at the new buildings in its customer portfolio is expected to go live in the next month. The startup previously described itself as “well-funded” by undisclosed investors, though it is still in bootstrap mode. It is not currently raising capital for expansion and has seven employees. Jump Fiber LLC is installing internet equipment in the Rand Building downtown. “I just get the feeling that people want something different,” Jump Fiber CEO Corky Roth told the Business Journal. Roth said that while the business sells gigabit speed internet, is is not the only choice for businesses. “It’s not that we are only selling gigabit, but more like 50 megabits per second and 150 megabits per second,” Roth said. Jump Fiber expects to start installing fiber in apartment complexes in the coming year. A Jump Fiber LLC antenna is on the Weston Centre’s roof downtown.